Online ordering menu for Stagecoach Tavern. 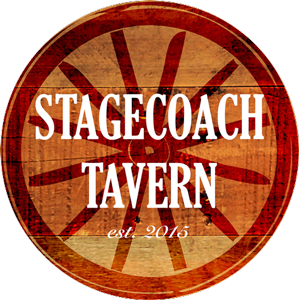 Here at the Stagecoach Tavern, our focus is simple: A clean, inviting, built around guests neighborhood bar and grill. We have a full kitchen, spacious patio and a one of a kind bar. We offer hot and tasty appetizers, delicious cold drinks, and wonderfully filling and affordable meals, and much more! We currently offer carryout ordering and are located at 87th and Farley St next to the Johnson County Library and Strang Park.